Made in collaboration with Real Model Ltd.
All Canadian vehicle photos courtesy of Anthony Sewards. 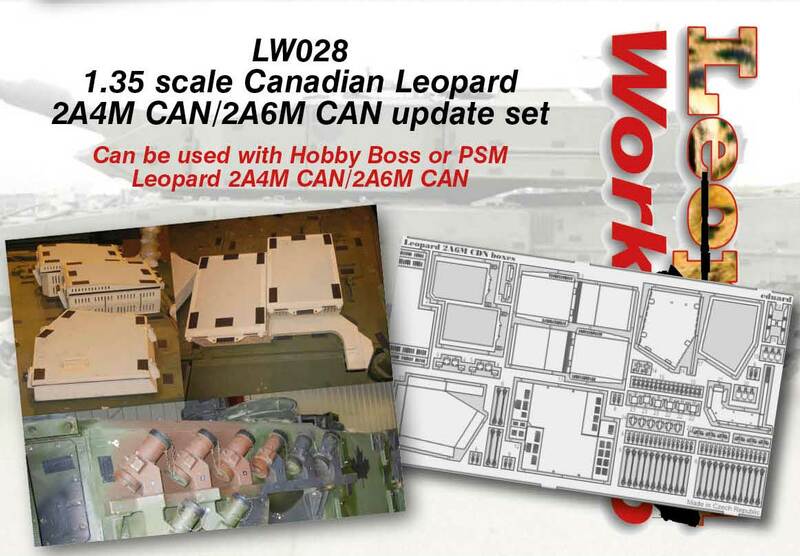 This Special Edition set is designed to enhance the current kits of Canadian 2A4M CAN and 2A6M CAN in plastic and in resin (and also the forthcoming Hobby Boss 2A4M kit). 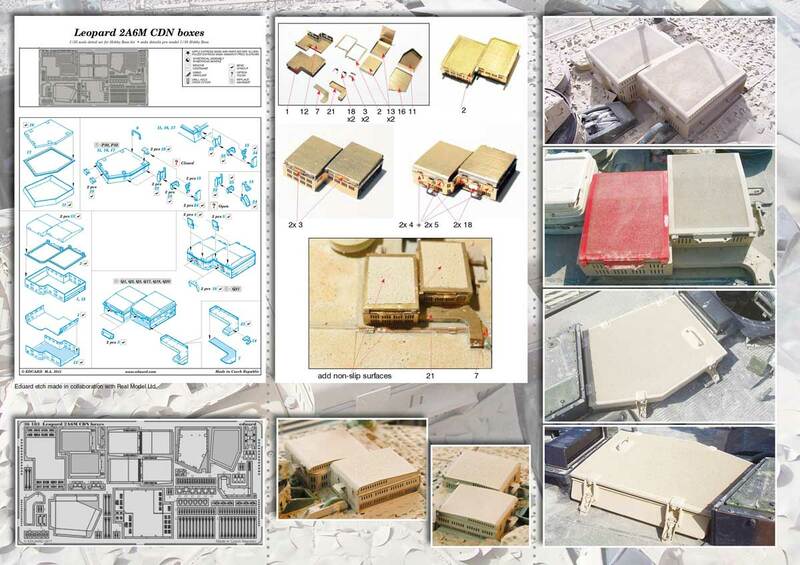 The most noticeable element of this set is the Eduard etch for the turret top electronics boxes and carbine box which are light years ahead of any kit parts. 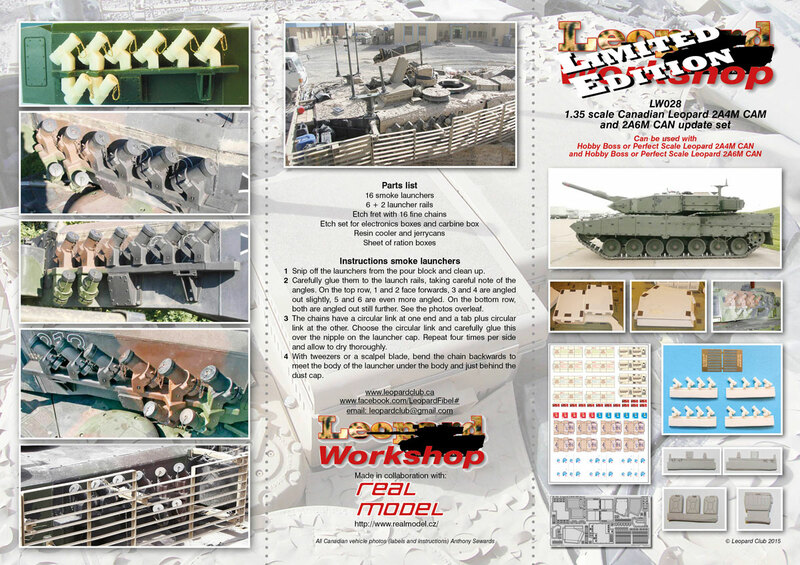 Added in is Leopard Workshop's own set of 6 + 2 smoke launchers alongside stowage items like ration boxes, jerrycans and a cooler. The Eduard set, bought on its own, is 23 USD retain, so this set is a bargain! Carefully glue them to the launch rails, taking careful note of the angles. On the top row, 1 and 2 face forwards, 3 and 4 are angled out slightly, 5 and 6 are even more angled. On the bottom row, both are angled out still further. See the photos overleaf.